Sound and light show under the Radôme : at 3:30 and 5 p.m. (French only). 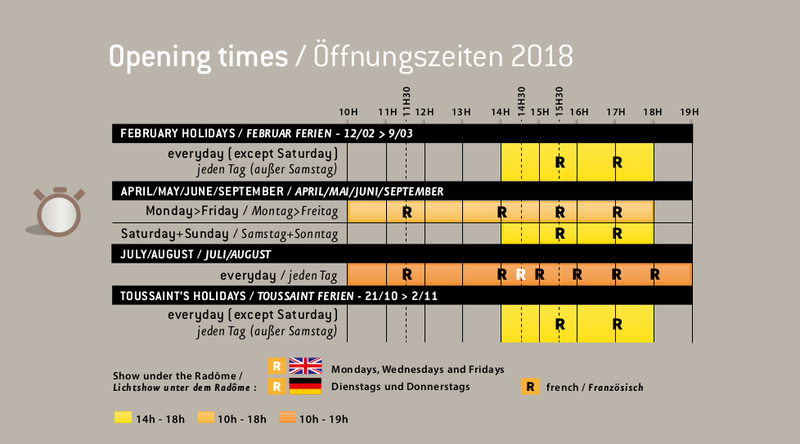 Times for the shows under the Radôme may change if needed. Open to groups all year round by booking (contact us for prices). We are a Corporate Foundation. Subscribe to the Cité des Télécoms newsletter and keep up with all the latest news and developments! Mentions légales Plan du site Copyright 2015 ©.